Nestled in the heart of the Berkshires lies Glenwood, Massachusetts--the perfect picture of suburbia. But when the children of this affluent town begin vanishing one by one, baffling local and federal authorities alike, Glenwood becomes anything but a utopia. 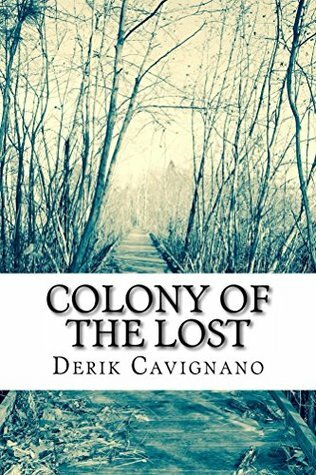 Built upon the ruins of a lost colony, Glenwood is home to a long-forgotten secret, and when three strangers are lured into the midnight woods by the phantom of a Puritan boy, they discover the truth of the town's dark past and must face a vision of its bloody future. Together, this unlikely trio--Jay, an alcoholic school teacher, Tim, a wise-cracking new kid in town, and Sarah, a nine-year-old with a host of imaginary friends--must somehow find a way to rescue the town from an ancient demon and its legion of human slaves. But in order for them to succeed, Jay must first conquer his own inner demons. This novel was.... interesting. While its not exactly what I was expecting based on the synopsis, it was still a decent read nonetheless. In fact, I finished it within one day - partly because I wanted to see how closely it continued to remind me of other "old school" horror novels I have read, and partly because I wanted to see how it would end. Without a doubt, there are several things in this story that boarder on the unbelievable. And while I won't go into detail on the things that could be considered "spoilers" what I can say is that I find it hard to believe that the main character could be featured on the news well outside of Glenwood as a "person of interest" and still manage to move freely about without attracting attention from anyone. I also find it hard to believe that gunshots were able to go off in such small quarters without anyone being alerted and therefore alerting the authorities. I will say I found the "internal battle" between Jay and his alcoholism could possibly have been the most interesting story-line. The author depicted this struggle in such a way that you could find yourself sympathizing with Jay as well as shaking your head as he continued to justify his behavior. Overall, I do believe this story will appeal to a variety of readers. I enjoyed it, but its not something I would read over.